The theme at I Heart Faces this week is "Beach Fun". There aren't many beaches around where we live but we do have a beautiful lake not far away. It is always a pretty shade of blue, but depending on the day and the weather the blue will be a different tone. Last month we visited this beautiful place to let the kids play. This is my Lou. 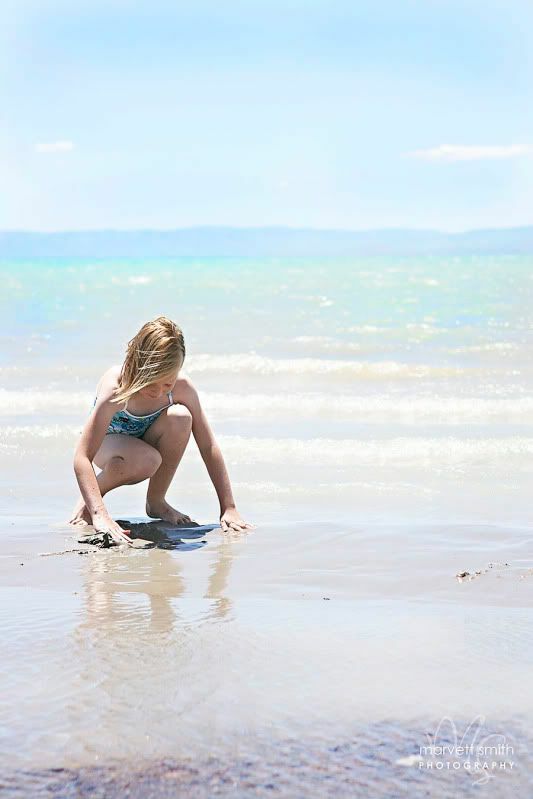 One of her favorite past times at the beach is looking for seashells and making sculptures in the sand. I couldn't resist snapping a picture of her doing what she loves most. She just looks like she fits in this place. To check out other entries click the link below. Cute! :) Love this shot...the lighting is wonderful. Love the bright, happiness of this Marvett!